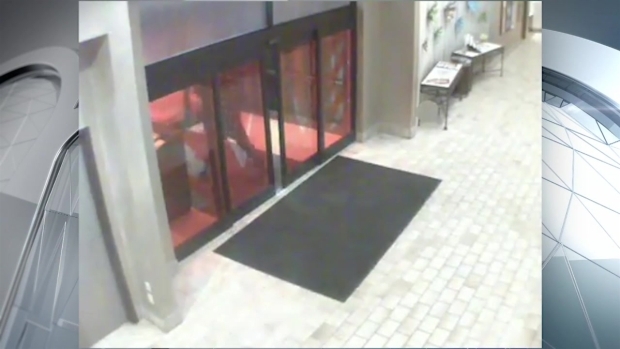 Surveillance video shows a man running for his life as a gunshot is fired into a Natick hotel. Police searching for suspects after a shot was fired at a man in a Massachusetts hotel, prompting an evacuation, have released surveillance footage from the incident. The Crowne Plaza Hotel in Natick was evacuated early Tuesday morning as police responded to a report of an active shooter. Police say multiple suspects followed a man into the Route 9 hotel's front lobby and shot at him. The victim only suffered a minor injury that was not believed to have been caused by gunfire. The suspects fled from the area, according to Natick Police Chief James Hicks. State and local police responded around 2:40 a.m. and set up a perimeter and evacuated the hotel. Police are investigating after suspects shot at a man in the Crown Plaza Hotel in Natick. At the scene, responding officers encountered a victim who said he was followed into the hotel by multiple suspects unknown to him when a shot was fired, according to Natick Police Department Chief James Hicks. "As he was entering the hotel. 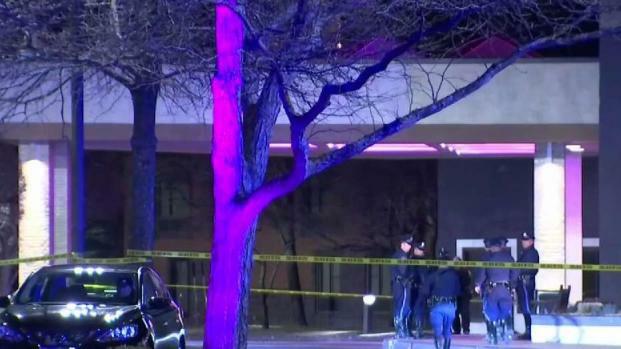 persons unknown to him followed him into the hotel at which shots were fired inside the atrium of the hotel," Hicks said at a press conference Tuesday morning. Hicks said one of the suspects opened fire at the victim, but the victim was not injured. The victim ran away and the suspects left in an unknown direction. As their investigation developed, officials determined no one entered the hotel following the victim. The suspects were initially believed to be inside the building after the shooting, according to state police. Out of an abundance of caution, the hotel was evacuated. About 75 guests and employees were sheltered at the Natick Mall cafeteria, while other patrons stayed in their cars. "They were exceptionally courteous," hotel guest Angeles Salas said. "They have these enormous, large scary guns and managed at the same time to say things like 'we're very concerned for your safety and your warmth and we’re going to arrange for shelter for you, please come this way.'" Police continue to search for a suspect involved in a Tuesday morning shooting at a hotel in Natick, Massachusetts. Hicks said officials do not believe the suspects are in the hotel at this time and that they fled from the scene in a car. He added authorities don't believe there is a danger to the public, and that investigators believe "this is a specific incident on a specific individual." Officials are working to determine how many people were involved in the shooting. The investigation is ongoing, and investigators are interviewing the victim and going through surveillance video. Hotel guests were eventually allowed back into the premises three hours after the evacuation. In addition to state and Natick police responding the active shooter report, police officers from Framingham, Wayland, Wellesley and Ashland were at the scene. Anyone with information is asked to call 508-647-9520.